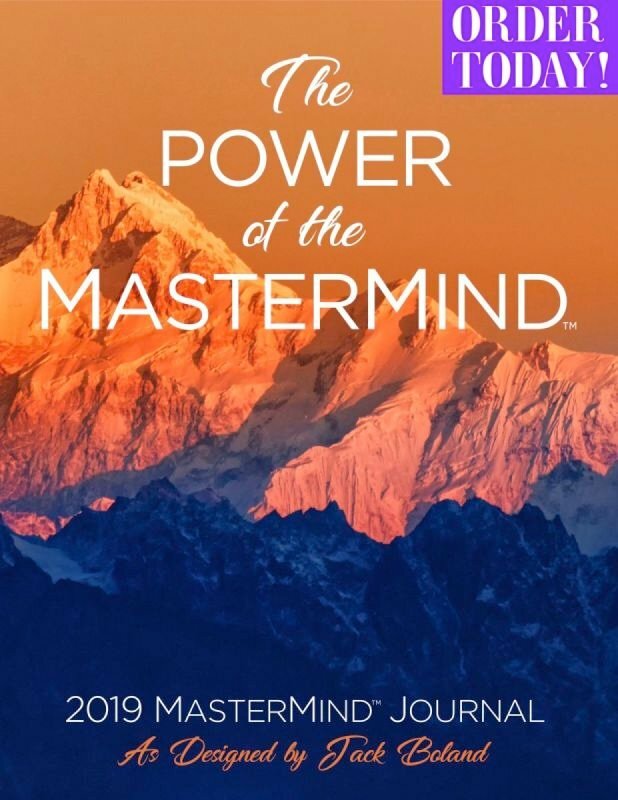 The 2019 MasterMind Journal is sold out! Thank you to everyone who purchased a journal this year to support your spiritual growth in 2019. The MasterMind is the Power Source that created and directs our incredible universe. Every person on our planet is a personalized expression of the MasterMind and, therefore, is connected to a Divine power, genius and wisdom. The MasterMind Principle is a proven method of focusing the power of thought for the specific purpose of aligning our thoughts and actions with the MasterMind. As a result, thousands of people have demonstrated dramatic, positive changes in their lives, and have experienced happy, successful living. Through the MasterMind Principle, you combine your own inner strength with that of at least one other person – as well as that of a Higher Power. The principle is based on an ancient premise that the combined energies of two or more like-minded persons is many, many times greater than the sum of the individual energies involved. The MasterMind Principle also teaches that other likeminded individuals can believe for you – and accept for you – things that you may find difficult to conceive or believe for yourself. I admit that, of myself, I am powerless to solve my problems, powerless to improve my life. I need help. I come to believe that a power greater than myself – the MasterMind – can change my life. I realize that erroneous self-defeating thinking is the cause of my problems, unhappiness, fears, and failures. I am ready to have my beliefs and attitudes changed so my life can be transformed. I make a decision to surrender my will and my life to the MasterMind. I ask to be changed at depth. I forgive myself for all my mistakes and shortcomings. I also forgive all other persons who may have harmed me. I make known my specific requests, asking my partners’ support in knowing that the MasterMind is fulfilling my needs. I give thanks that the MasterMind is responding to my needs, and I assume the same feelings I would have if my requests were fulfilled. I now have a covenant in which it is agreed that the MasterMind is supplying me with an abundance of all things necessary to live a successful and happy life. I dedicate myself to be of maximum service to God and those around me; to live in a manner that sets the highest example for others to follow; and to remain responsive to God’s guidance. I go forth with a spirit of enthusiasm, excitement and expectancy. I am at peace.